Lough Derg is the third-largest lake in Ireland, after Lough Neagh in Northern Ireland, and Lough Corrib in Galway. It is a long and relatively narrow lake with shores in counties Clare, Galway, and Tipperary. The lake is the last of the three largest on the River Shannon, with the other two, Lough Ree and Lough Allen lying further north. The lake is 36 metres at its deepest point and covers an area of 45.5 square miles. The lake is a popular destination for leisure boating, sailing and fishing. At the point where Lough Derg empties into the Shannon, it slopes steeply downhill – a major reason for the world’s then-largest hydroelectric power plant at Ardnacrusha in 1927. In the nineteenth century, Lough Derg was an important artery from the port at Limerick to Dublin through the canals in the midlands of Ireland. 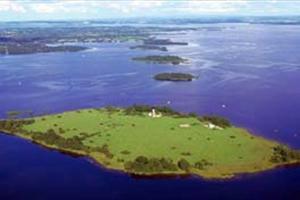 Navigable over its full 40 km length, Lough Derg is popular today with cruisers and other pleasure traffic, as well as sailing and fishing. The University of Limerick has an activity centre by the lake, just outside Killaloe. It is used for canoes, kayaks, windsurfing and yachts, among other purposes. Towns and villages along Lough Derg include Garrykennedy, Portumna, Killaloe & Ballina, Dromineer, Terryglass, and Mountshannon. Portumna is a market town in the south-east of Galway right on the border of Tipperary. The town is located to the west of the point where the River Shannon enters Lough Derg. This historic crossing point over the River Shannon between counties Tipperary and Galway has a long history of bridges and ferry crossings. On the west side of the town is Portumna Castle and its forest park. Portumna is served with a five-span road bridge over the Shannon. This was designed by C. E. Stanier of London, and completed in 1911, with a central section resting on Hayes’s Island which divides the river into two channels. The steel structure of the main bridge and pivoting swing bridge over the navigational channel are of technical and engineering interest, and it is the largest early-twentieth century swivel bridge in Europe. The opening section was replaced in October 2008. A number of Poor Law Unions were set up across Ireland during the Great Famine. The Portumna Union was formally declared on 22 February 1850, covering an area of 121 square miles as a subdivision of the Ballinasloe and Loughrea unions. Designed by the Poor Law Commissioners’ architect George Wilkinson, the Portumna Union workhouse was intended to accommodate 600 inmates who were badly affected by both the lack of employment and food at the time. Its construction cost £7,875, but in recent years it has been left semi-derelict, however, one of the front blocks is used by a local council depot. The town is well known for Portumna Castle, the main seat of the de Burgo family for over 200 years, until it was gutted by fire in 1826. The castle is located around 200 metres north of Portumna Harbour on Lough Derg, with Portumna Forest Park to the west and the town of Portumna about 300 metres to the north and east. 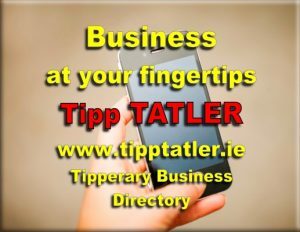 At the opposite south side of the lake about 22 miles south west of Portumna, lies the village of Ballina in County Tipperary. 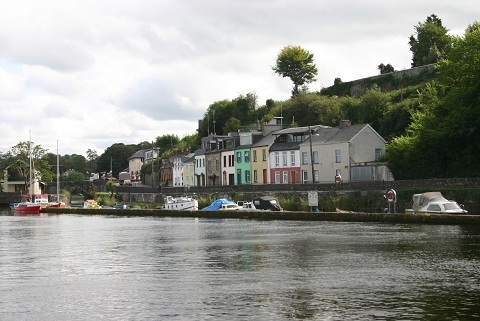 Ballina is a twin-town of Killaloe, in County Clare, on the west bank of the lake of which the two are joined by a bridge. The annual Brian Boru Festival takes place in early July of each year. 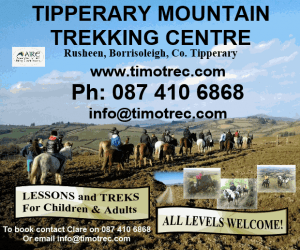 A joint celebration between the two towns of the ancient High King of Ireland, Brian Boru, it involves many community-based activities including a hurling match between the teams of both towns. 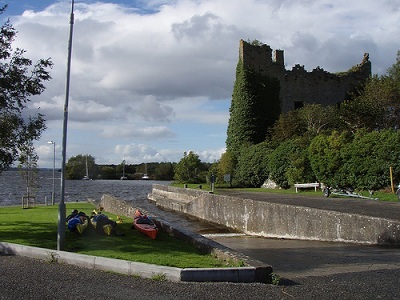 Ballina was an important stopping point for boats travelling up the Shannon along with Killaloe. Back in the 19th and early 20th century Dockers and boatmen would pass through Ballina to go to Dublin to deliver their goods. On the east side of Lough Derg, six miles north of Nenagh, lies the small village of Dromineer. Home to an 11th century townhouse, idyllic scenery, a public harbour, and other facilities, it is a popular place to visit. Amenities in Dromineer include a restaurant and a pub, accommodation, and a children’s playground. Terryglass lies on the north-eastern shore of Lough Derg near where the River Shannon enters the Lough. A monastery was founded there by Columba of Terryglass in 549. He was the son of Colum mac Crimthainn and a disciple of St. Finnian of Clonard. He was one of the twelve apostles of Ireland. The monastery became a centre of learning and produced the Book of Leinster, which is now housed in Trinity College Dublin. The Book is an important collection of history, tales and poems written in Middle Irish and is believed to be the work of Áed Ua Crimthainn, a 12th century abbot of Terryglass. The Vikings often raided the abbey and in 1164 the abbey was burnt. Terryglass has two historic wells, the Eye Well and the Headache Well, both of which are said to have curative properties. On the west side of Lough Derg in the north east of Clare, lies the village of Mountshannon. The village was designed and built from scratch by Alexander Woods, a Limerick merchant, who intended it as a purely Protestant settlement from which the surrounding Catholic population would be so impressed by the industry of the settlers that they would quickly convert to the Reformed Church, in fact it was the reverse that happened, the Catholics colonised the village, and the picturesque Protestant church in a wooded churchyard bears mute testimony to Woods and his scheme. Today, Mountshannon boasts four pubs, one of which is a hotel, a corner shop, a café, a restaurant, a petrol station, and a pizzeria. Mountshannon has a round tower, ruins of several small churches, and a holy well. A recent addition to Mountshannon is the maze built in the centre of town in a very well maintained small park, with picturesque views of Lough Derg.